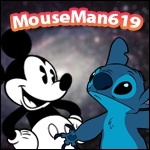 I finally got up my new forum, Please check it out so I can get a good start. Oh, and it's going to look a lot like this site because it's what inspired me. So, enjoy! Nice site! I assume it is in the beta stage? ^That is correct. Really just trying to start it up, and get a good site going. I didn't use any coding, but it is powered by phpbb, the same as this site. Hopefully, I'll be able to fork the 15 dollars a year payment to get my own domain. We will see. And thanks mouseman! Oh, and it works best on compuers, no the mobile version. 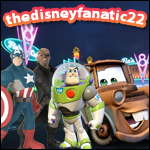 Alright, site is back up with the modified site domain, disneylandfans.com. Again, I'd love to get a lot of new members from here. Even if you aren't huge into the parks, it'll be a great place to learn more about them and get to know some fellow Disney fans! Oh, and I posted a link to the site on Disneyland Today's facebook and twitter, so maybe some people will see it! I'm pondering joining, but I'm not sure if I should due to the fact that I will probably never use the account.